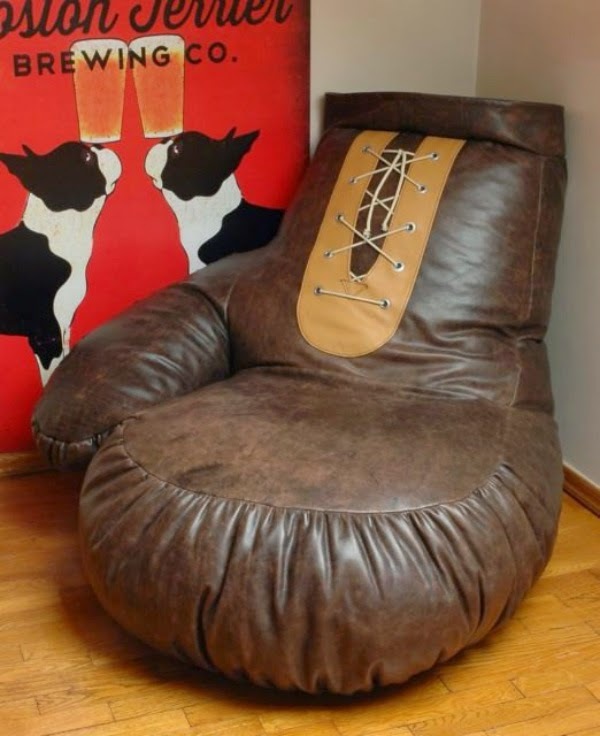 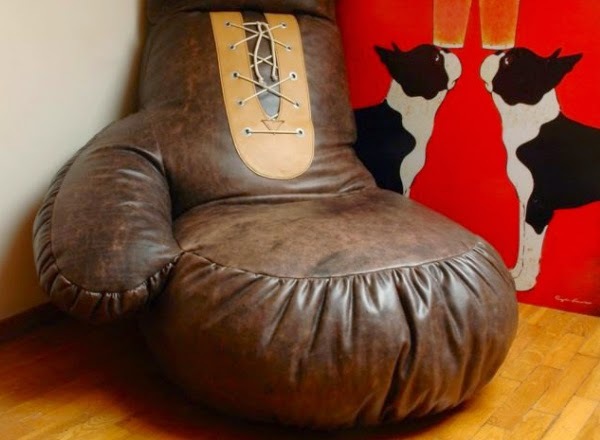 Leather Boxing Glove Chair is designed and sold by Vilnius, Lithuania based etsy seller Ornald Balyko. 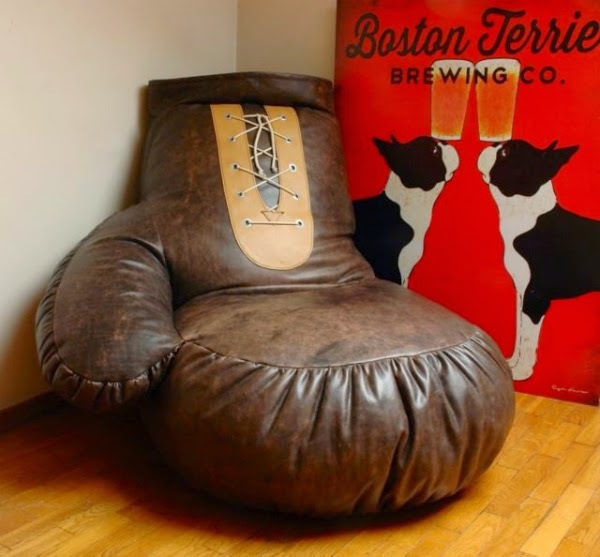 The bean bag chair is designed to look like an old-fashioned, stylish boxing glove which would be great gift for any boxing fan. 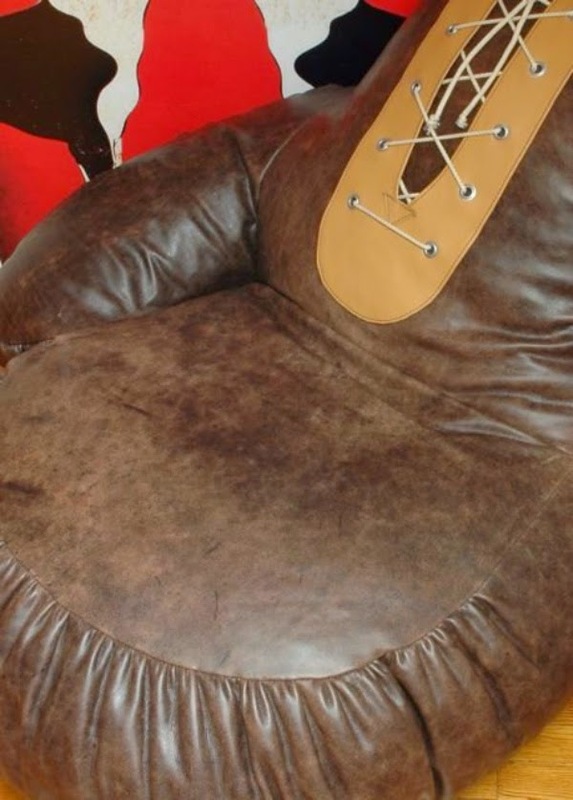 The leather chair is about 90cm tall and can be filled with plastic "polystyrene" balls, made of genuine cow leather which gives rich look to the chair.